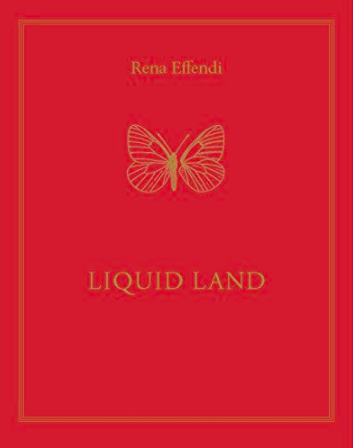 Liquid Land is co-authored with my father Rustam Effendi, a dissident scientist and entomologist who devoted his life to studying, hunting and collecting over 90,000 butterflies in the Soviet Union. Inherited by the Azerbaijani State Institute of Zoology after his death in 1991, his vast collection has disintegrated. Alongside thousands of glass boxes filled with butterfly dust, the only remaining visual evidence of his life's work is the fifty photographs of endangered butterflies for a manuscript he never published. 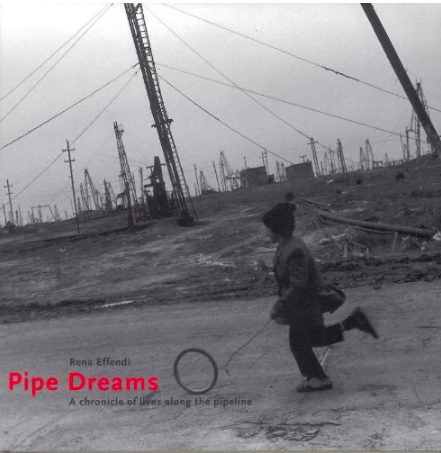 Next to my father's dead but iridescent butterflies, my photographs show life in some of the world's most polluted area, near Baku, where I was born and grew up. In my mind, the contrasting images gravitate towards each other- as I have to my father. Since working on this book I have gotten to know him much better than when he was alive. Salty Waters is the translation from Persian of the "Ab-sheuran" Peninsula; in and around Baku, its main city, the earth is breathing with petroleum fumes, as oil oozes to the surface, turning liquid. The Caspain Sea hugs the eagle-beak shaped land, salting its gas-pocked soil. I photograph the barren, liquid land of Absheron - its environmental and urban decay, its people living amidst the chaos of industrial pollution. My father's work was in the fresh mountain air. The butterflies that he hunted since he was a boy are spectacular in their symmetry. Carefully placed on plants, they shine with vibrant colors, yet he had to kill each one of them for a picture, piercing his microscopic pins through them.